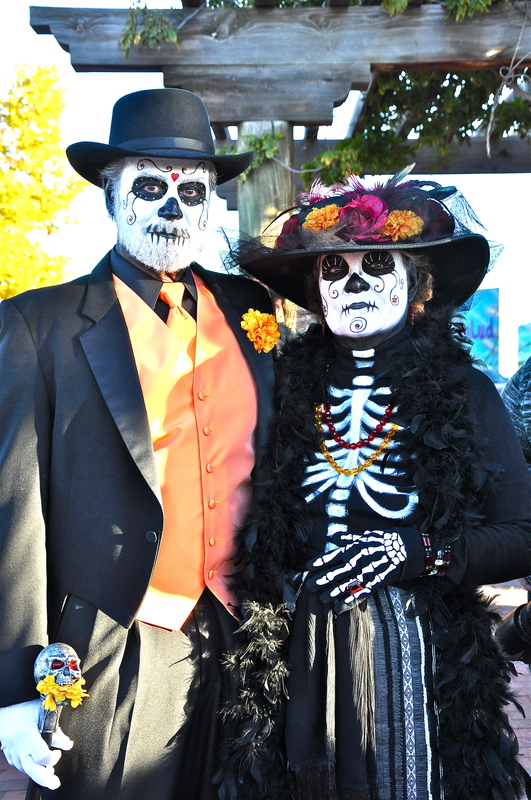 Albuquerque, NM: Dia de los Muertos, 2010. Final warm Sunday of fall, pale gold light of late afternoon, elongated shadows of parade-watchers and edgy giggles of marchers. . . laughter in the face of Death, of which there seems more now than there used to be. 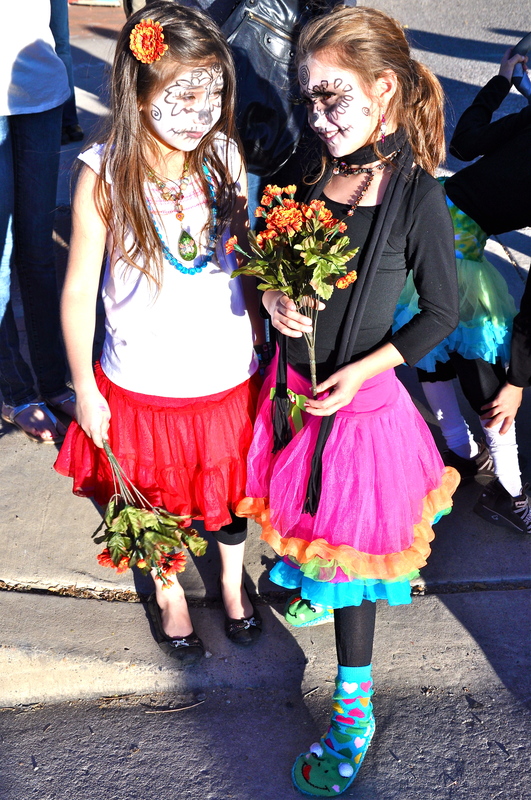 Triumph in mocking it, dressing up, painting faces, calaveras very much alive, displaying high-pitched emotions of Carnavale, Mardi Gras, New Mexico-style, flinging candy to children crowding sidewalks of Isleta Blvd. 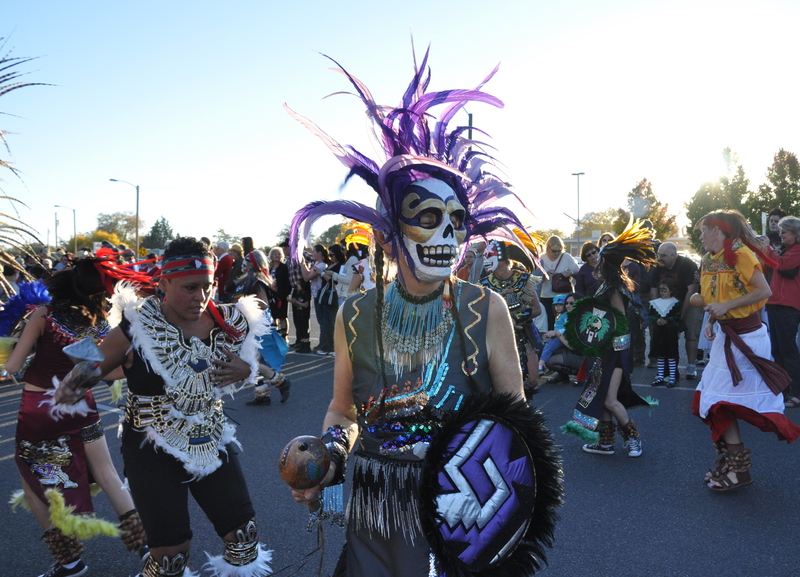 Leading off are Aztec dancers, following are flamencos, motorcyclists, low-riders, even a proud horseback callabera, each accustomed to living closely with Death, who fuels their dance. 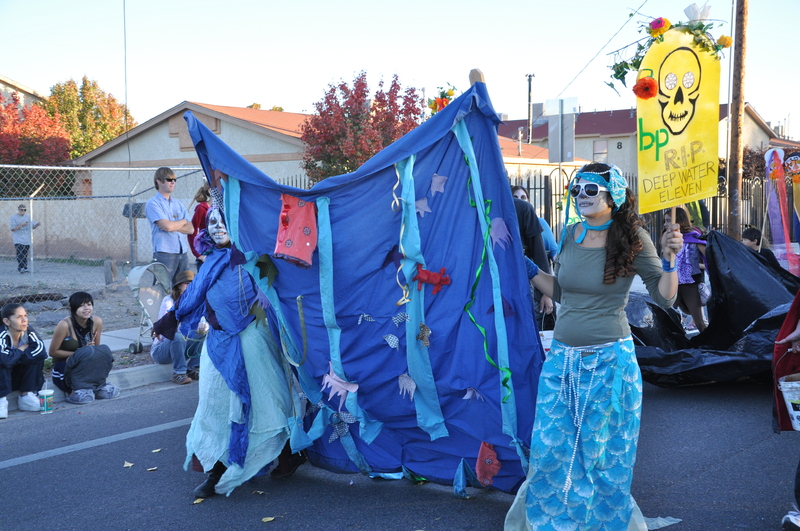 Protests of death – of the environment, of social justice, of economic well-being – with colorful proclamations, good humor, and determined refusal.